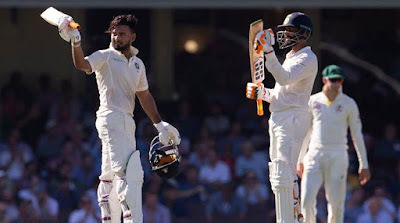 Home India vs Australia India vs Australia Test series:- India’s breakout stars! India vs Australia Test series:- India’s breakout stars! India’s historic 2-1 series triumph in Australia was as much about some of the players in their 1st series Down Under as it was about Cheteshwar Pujara and Virat Kohli. Spoke to coaches of Rishabh Pant, Kuldeep Yadav and Mayank Agarwal to get a sense of how they managed to unshackle themselves on the big stage. I spoke to Rishabh on Christmas. He seemed cheerful, but the fact that he was getting out to Nathan Lyon was bothering him. I told him:- Rishabh, tu Lyon ko front foot pe kyon khel rahe ho. Use backfoot mein khel. (Play Nathan Lyon on the back foot). He is such a wonderful backfoot player but I noticed that he was getting out to him (Lyon) by coming on the front foot and getting deceived by his dip. When he scored the century in Sydney, he made an effort to play Lyon on the backfoot. Playing him so late from the crease nullified the threat Lyon was posing with his deception. Another thing that I told him was to be more judicious in his shot selection. You have all the shots in the world. But take your time… this is a 5-day game. Tu apne liye khel to apne aap team ke liye achcha hoga,” I told him. Coming into Sydney, Rishabh was aware that he had frittered away opportunities after scoring 20s and 30s. Koi tere ko bacha nahi sakta, keval tere runs hi tere ko bacha sakte hain. (Nothing can guarantee your spot in the Test team except the runs that you score). Right from his Test debut at Trent Bridge six months ago to the recent MCG Test, I feel Rishabh could not get out of that T20 mode. In the longer format, he has to alter his game leave a lot more deliveries outside off-stump and remain patient. Thankfully, his knock in Sydney proved that he has the game to play Test cricket.